I don’t think I could handle the mental strain if I ever wrote for a site that people actually read. What I write for this site, I consider mostly goes into a vacuum. Hopefully, all of my uninformed “facts” and opinions fall largely on deaf ears. Or blind eyes, I suppose is the better metaphor. 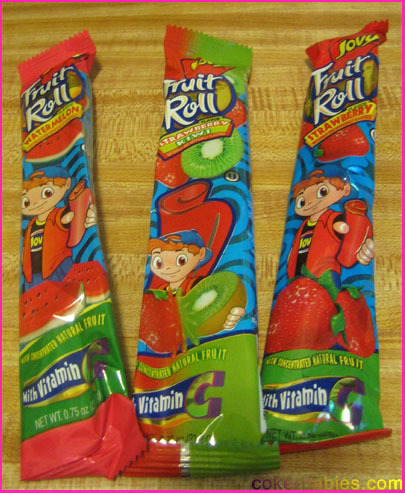 What brings this up is a result of my previous article, the now-infamous fruit rolls exposé. The emails I get for this site usually fall into two categories. The first category is actual comments from readers, usually just a compliment on a certain article (I don’t think this site is important enough to garner much hate email, thankfully). The second category is scattered emails with subjects akin to “banana laffy taffys is good wut ru talking aout”. So I was a bit surprised that one of the companies I wrote about contacted me. 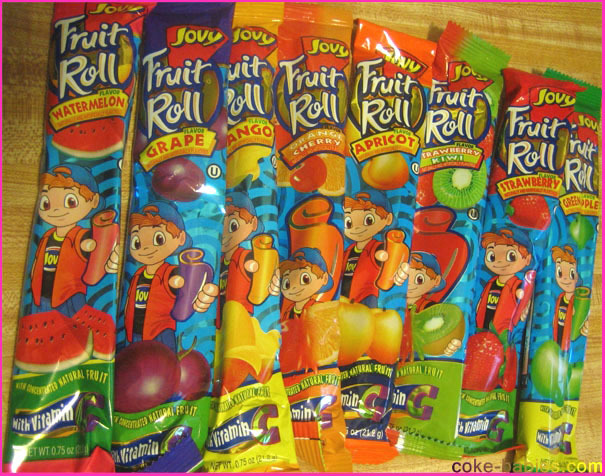 When I saw that someone from the company that makes Jovy fruit rolls contacted me, I was a bit nervous. I assumed I said something in the article that was blatantly incorrect, and they were contacting me to inform me I was being sued for libel. Instead of a legal assault, Jovy simply informed me that if I ever wanted more information on their company, to let them know. I would assume the reaction of most people would be “Uh, no thanks… I’ll just keep eating the food.” Although those people wouldn’t have put their opinions on fruit rolls online in the first place. I believe this is what is referred to as a self-fulfilling prophecy. Or maybe it’s not; I occasionally throw phrases around that seem like they would be correct, without paying much attention to whether or not they are actually applicable. So, catch 22. If you know anything about me (and if you don’t, it’s not worth starting), you already guessed that I replied to the email with sentiments of “YES PLEASE”. Although I didn’t use all caps. Come on, I do have some decorum. They sent back information on the history of the company, as well as information on the machinery they use in Jovy’s production. Now, many people would consider getting an email with PDFs detailing the specs of a fruit roll’s production to be uninteresting, akin to homework. Not me. 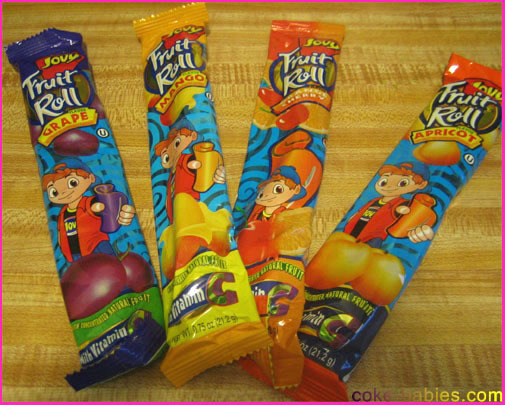 The biggest revelation to come from this information was that the Sunkist rolls, which I said were almost identical to the Jovy rolls, were produced in the same manner, after Sunkist was bought out. Or something like that; I’ve already forgotten some of the information. And apparently my old emails aren’t saved for as long as I blindly assumed they would be, so I don’t have this information anymore. But that’s another topic I’m enraged by, so we’ll leave that alone. Do you see what that means? I said Jovy rolls are almost identical to Sunkist rolls… and they are. I made a sort of informed but mostly opinion-based declaration on this site, and I was actually correct! This sets a bit of a dangerous precedence, as I might find myself more freely spewing “facts” on here. So if you ever come to this site, and it has been turned into a promotional site for Pepsi, this will be the result of my giving them the only real asset I have, after they sue me for some wrong statement or other. Such as suggesting the only possible explanation as to why they would decide that Diet Pepsi With Lime should continue while the infinitely superior Diet Pepsi Twist gets cancelled was a result of a marathon freebasing session. But, just to play it safe: The aforementioned statement has not been confirmed as fact, and is only an assumption. Although I really can’t think of any theory that makes more sense. So as thanks to Jovy for their unbelievably awesome customer service, I felt I would pay them back in the only way I know how: reviewing their fruit roll line. As you can probably tell from most of my food reviews, I’m not that good at actually describing the products. Most of my reviews are 95% introduction and filler, while the actual review part is never too impressive. This is easily explained: I’m bad at it. Even if I could give a description of a fruit roll like “contains high notes of pear and grape, with undercurrents of lemon zest” (which I can’t), no one wants to read that. Fruit Roll Afficianado is not a niche even I am prepared to fill. To avoid just having a list consisting of “Grape – this was good, Strawberry – this was pretty good”, they will be divided into three groups. My two favorites, without a doubt, are Orange-Cherry and Apricot. Apricot tends to be my favorite fruit roll flavor for two reasons, first of all because it’s one of my favorite fruit flavors. The second reason is that Apricot-flavored foods never tend to never be overly sweet. If I want a very sweet fruit snack, I’ll go with a Fruit Roll Up. Fruit rolls are all about the restraint. Orange-Cherry was a bit of a surprise when I first had it. The combination, while it didn’t sound bad, didn’t really seem like a very natural match. But the flavor is great, a nice balance of the two flavors, and not too sweet. Grape being one of the best flavors wasn’t a surprise. I love the flavor, and the only way they could have messed it up was by making it sickly sweet, which it isn’t. Mango is borderline between being classified in the Best category and being demoted to the Better category. I like the flavor a lot, but it is a bit overpowering. Although natural mango flavor is fairly overpowering, so the Jovy roll does have that accuracy. Also, I already took a picture of Mango with the Best flavors and don’t want to have to re-take it, so it stays. The first flavor in the Better category isn’t pictured: Cherry. I only had one, and I ate before taking its picture. My journalistic integrity took a hit with that mistake, but oh well. I tend to dislike cherry as a candy flavor (cherry Starbust – blech), but usually love it as a flavor of fruit roll. Jovy’s cherry is a solid effort, but a bit sweet. It’s a halfway point between a more understated cherry flavor like Stretch Island’s, but never approaches the creepy cough syrup-esque Starburst. I also didn’t want to have too many flavors in the “Best” category, and with Mango remaining, Cherry got bumped. Strawberry is a good, if somewhat safe effort. You know what you’re going to get with a strawberry fruit roll. Which, of course, isn’t a bad thing, but it didn’t have enough to differentiate itself and make it a great flavor, just a good one. Strawberry-Kiwi was too sweet. It wasn’t too sweet to the point of being bad, far from it. It’s a good flavor, but I’m grading all the flavors against something of a fruit roll benchmark. Granted, that benchmark is made up and not a real thing; it’s really just a mental expectation of the sweetness I want in a fruit roll. I apologize for not being able to quantify it. Watermelon, like Strawberry-Kiwi, was very sweet. Although almost everything watermelon flavored tends to be overly sweet, so this makes sense. The flavor is spot on though, so the overall roll is quite good. It is probably unfair to put Green Apple in the “No” category, since no matter how good it might be, I won’t like it. I hate green apple-flavored sweets. This is why I named the category “No” and not “Bad”. Because I can’t truly say if it’s bad or not. I can’t judge what’s good quality black licorice… they’re all disgusting to me. Same thing with green apple. While I have most flavors here, I am unfortunately missing two: Peach and Raspberry. This is extra unfortunate because Peach is almost always my favorite flavor of any candy or sweet. Raspberry is a shame as well, since that tends to be a great flavor of fruit roll. And there you have it: Jovy’s excellent fruit roll assortment. If you’ve read this far, you’re obviously interested. So go out and buy a ton of them, either online or at a supermarket if you can find them. And tell them Robb sent you. Although only tell Jovy, not the supermarket cashier. They won’t care.